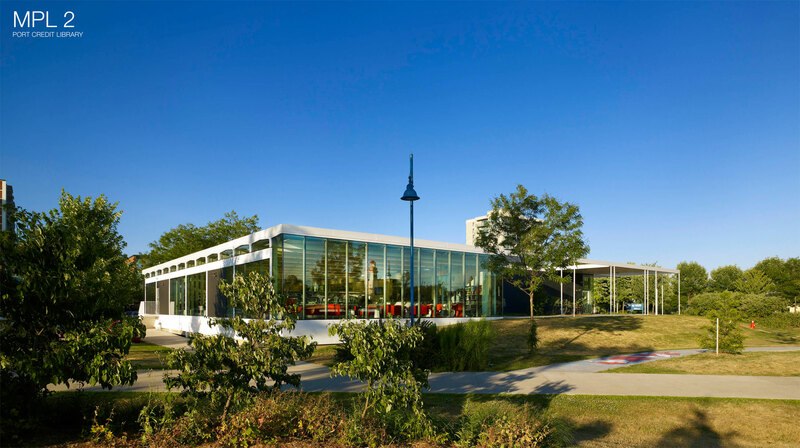 The Mississauga Library Project is an adaptive re-use strategy for the major renovation and addition to the Lakeview, Port Credit, and Lorne Park branch libraries, all dating from between 1956 and 1967. The three renovations have been structured as one project, a strategy put forth by the client as a means to use public infrastructure money efficiently. The original three libraries were designed as mid-century modern buildings, displaying similar physical and aesthetic characteristics. As such, the design for the projects is based on the development of a single vocabulary of consistent parts, applied to each of the three libraries in a varied manner. 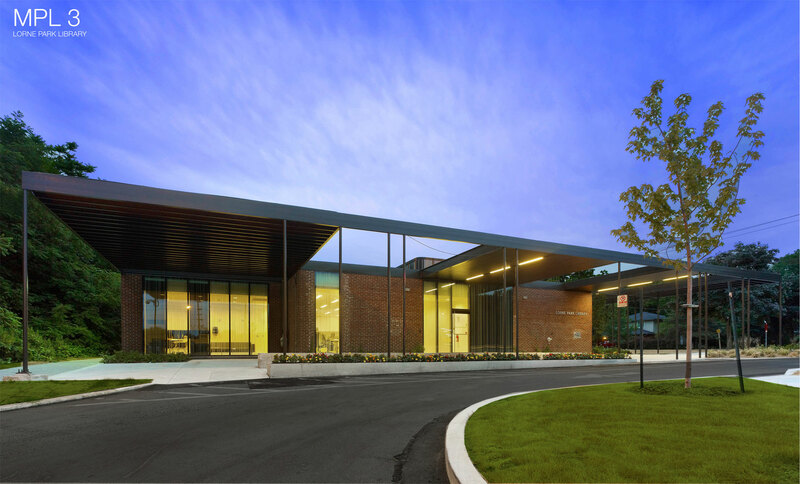 "In an era increasingly attuned to the demands of sustainable construction and the need to conserve resources, this astute and economical remodelling of a trio of library buildings is emblematic of the growing social and cultural importance of adaptive re-use. Handled with a superb lightness of touch, the new interventions have a clarity and precision that subtly allude to the buildings’ Modernist origins. The dialogue between existing and contemporary parts is clearly articulated and poetically expressed, revitalising each library both as an individual building and wider neighbourhood focus."